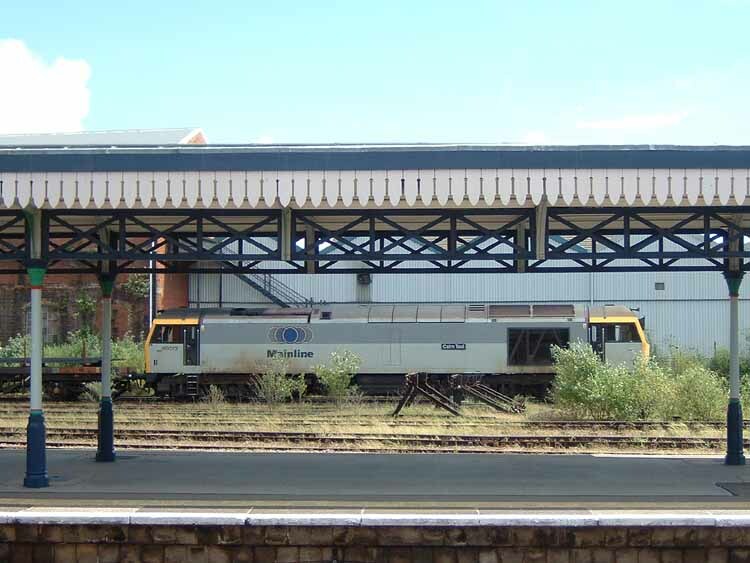 One hundred (100) Class 60 heavy-freight diesel electric locomotives were built between 1989 and 1993 at the Falcon Works of Brush Traction in Loughborough. They were all named after British mountains or famous citizens. 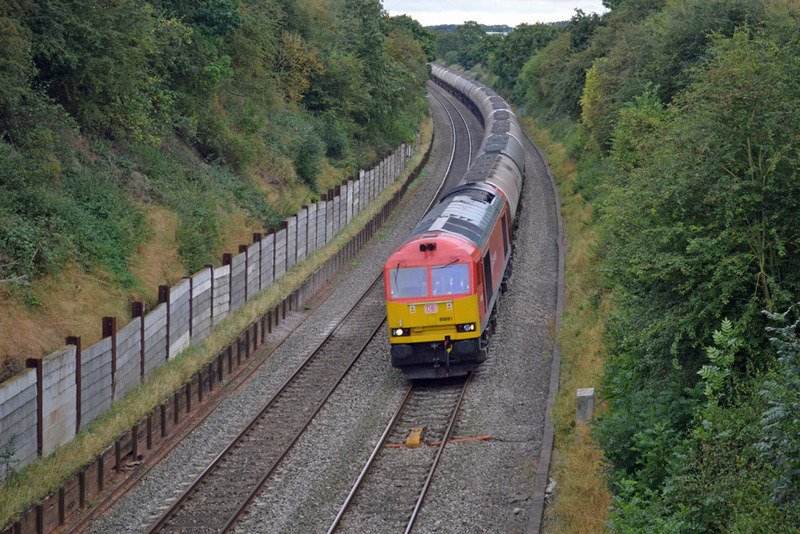 On privatisation the fleet was sold to the English, Welsh and Scottish freight business and then to DB Schenker. Class 60 diesel locomotive No.60093 comes off the former Birmingham & Gloucester Railway line to Camp Hill with freight train bound for one of the steelworks in South Wales. 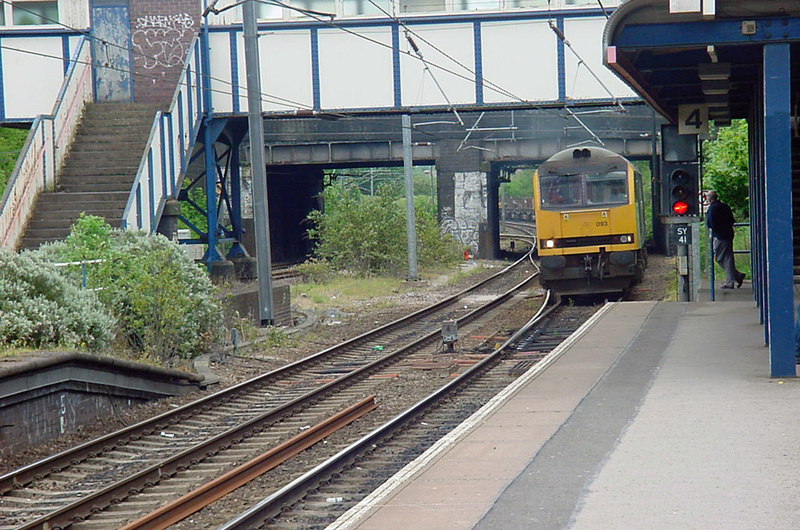 Photograph taken by Andrew Smith on 21st May 2002. A regular duty for the class 60 diesel locomotives in the early years of the new century was as banking engine on the Lickey Incline. On 30th August 2002 class 60 diesel locomotive No.60040 grinds through the station at the rear of a train of coal imported via the docks at Avonmouth. Banking duties were later taken over by one of a small fleet of suitably modified class 66 diesel locomotives. Photograph taken by Andrew Smith. 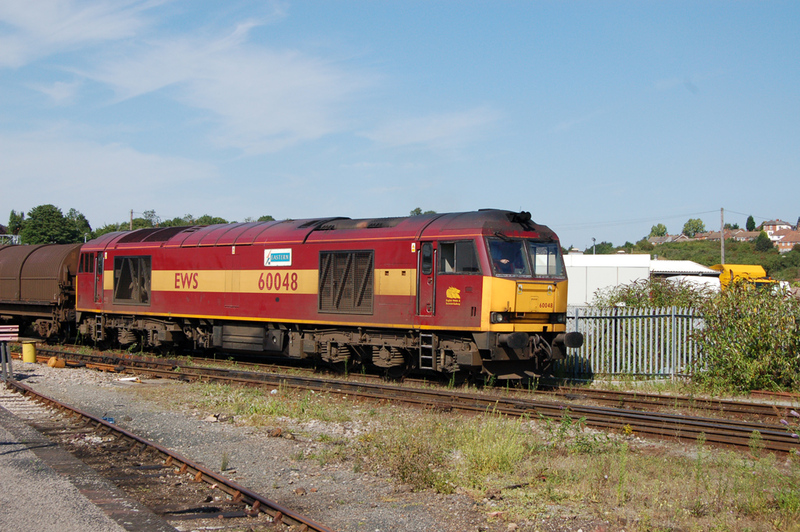 On 23rd August 2007 EWS livery class 60 diesel locomotive No.60048 passes to the rear of Worcester Shrub Hill Station with the afternoon working from Round Oak to Cardiff. Photograph taken by Andrew Smith. By 2011 most of the class 60 diesel locomotives had been stored around the depot at Toton but a few services continued to see class 60 haulage including the Lindsey to Westerleigh oil trains. 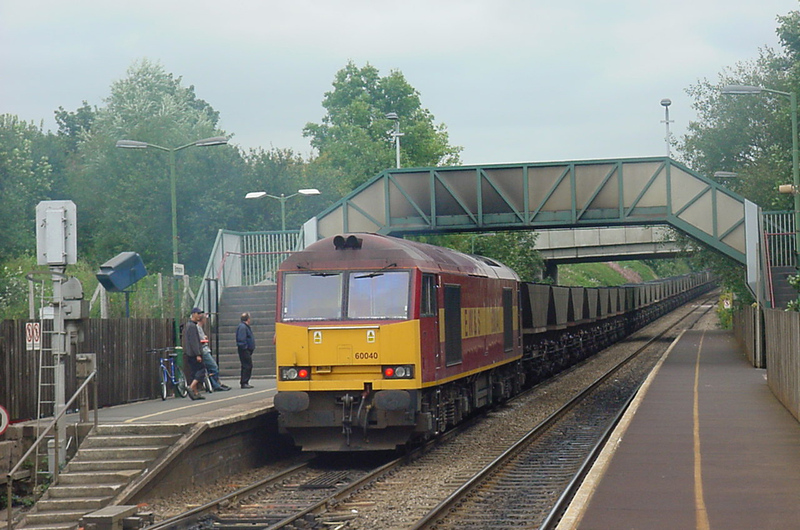 The photograph shows the returning empties approaching Bromsgrove with class 66 diesel locomotive No.60015 'Bow Fell' at the head of train code No.6E41 on the afternoon of 23rd March 2011. 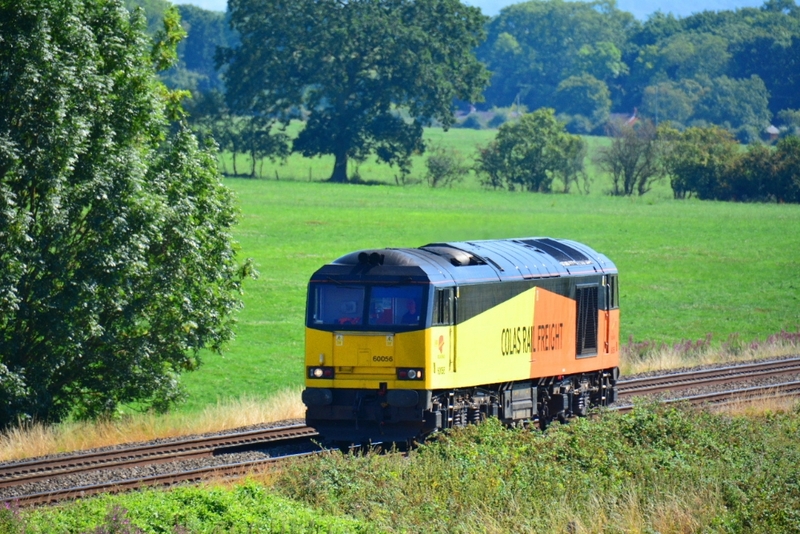 The following week the same service was observed with class 66 traction instead of class 60, but this train rapidly reverted to class 60 haulage as locomotive availability improved during 2011. Photograph taken by Andrew Smith. On Friday 21st September 2012 a very clean class 60 diesel locomotive No.60091 in DB Schenker's red livery had charge of the 11:41 empty oil wagons from Westerleigh to Lindsey (train code 6E41). It was photographed at Tibberton by Andrew Smith. With the ending of the Westerleigh to Lindsey oil tank trains in 2015 the era of the regular use of class 66 diesel locomotives came to an end. However, on Monday 15th August 2016 Colas livery No.60056 was sent, light engine, from Cardiff to Doncaster. Steve Widdowson photographed it near Wadborough.